M. Peter von Möller, you were President of the Henokiens Association a couple of years ago. Could you please introduce yourself to our readers? > Peter von MÖLLER : It has been a genuine honor for me to be elected President for a period of 4 years by the members of the Henokiens', a unique circle of companies that have been in existence for more than 200 years. At the same time, I will represent our family company, MöllerGroup, which has already been successfully operating on the market for 285 years. > P.v.M. 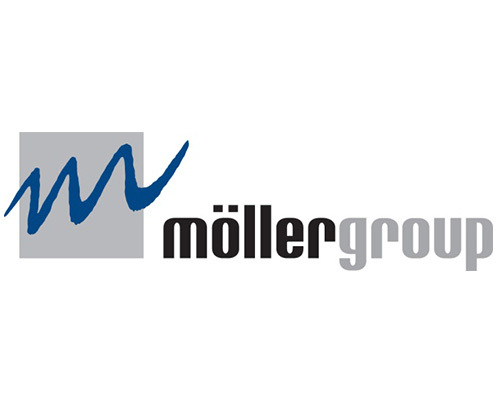 : MöllerGroup is a globally operating business group, with 2000 employees at 12 international locations in 7 countries. The main activity of the group is as a supplier for the international automotive industry. What have been the outstanding events for MöllerGroup in recent years? > P.v.M. : MöllerGroup early recognized the importance of internationalization and has systematically developed this aspect. We therefore established a company in France 35 years ago, which was built on the same corporate culture as the parent company. > P.v.M. : To be able to continue offering new ideas and solutions to all our customers, the MöllerGroup is working intensely with its suppliers. That is the only way to enhance existing products and services continuously and cooperatively. For this reason, we have recently started-up an additional factory in China. > P.v.M. : The today’s very competitive environment, makes it not easy to ensure the continuity of family companies. For us, the steady drive for innovation and therefore the development of new products, materials and methods, in conjunction with a strong corporate culture, has been the basis of our company's longevity. This includes major initiatives with regard to Management and Employee Development Programs. Would you say that this extraordinary longevity is an asset in your relations with your customers? > P.v.M. : Our customers benefit from the know-how and the experience of our 285 years in conjunction with a permanent improvement of the value-added chain. It is nowadays particularly important to develop individual, customized solutions together with our customers and to offer continually extra service. > P.v.M. : The long tradition lasting for centuries of our company coupled with a commitment to contemporary research and development will make us a strategic partner for our customers into the future. Which are the most important traps that your company must avoid in order to preserve its independence? > P.v.M. : The words "We are Möller and we remain Möller" are the base for the sustainability of our family company. This requires being continuously in touch with the marketplace, so that the company can immediately react to changing market situations at any time. Did the determination of your family to keep its independence over the centuries require that difficult choices be made? > P.v.M. : A company's history constantly requires entrepreneurial actions. This refers to products as well as production technologies, and to general company leadership as well. MöllerGroup has, for centuries, shown its entrepreneurial flair, its ability to adapt and to diversify as illustrated by the shift of its activities from copper to leather, from leather to rubber, and then from rubber to plastics..
> P.v.M. : Each generation has the obligation to handle its legacy responsibly through committed involvement, and at the same time through the development and implementation of global processes and forward-looking concepts. For implementing a family member to play an important role in managing the company we have written rules about the experiences necessary for this job and how the appointment has to be handled. The supervisory board with a majority of non-family members has to make the decision. > P.v.M. : Starting your own family business offers a lot of opportunities but there are also risks. A prerequisite for success is a fully thought-out business model, which will need to be implemented with great creativity and courage. Accepting criticism is also part of responsible action, especially as regards employees.